Local Boogeyman led officers of the Muerto County Sheriff’s Department to a cemetery just outside the small rural Texas community of Newt early this morning. Officers there discovered what appeared to be a grisly work of art from Tim Armstrong: a t-shirt of one of the most bizarre crimes in the annals of American history, The Texas Chainsaw Massacre. 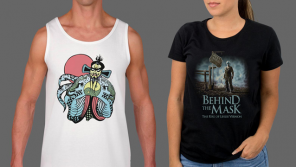 From a dimension beyond the living, Fright-Rags has new merchandise to scare you to death; featuring Poltergeist, Poltergeist II: The Other Side, The Amityville Horror, and Predator. 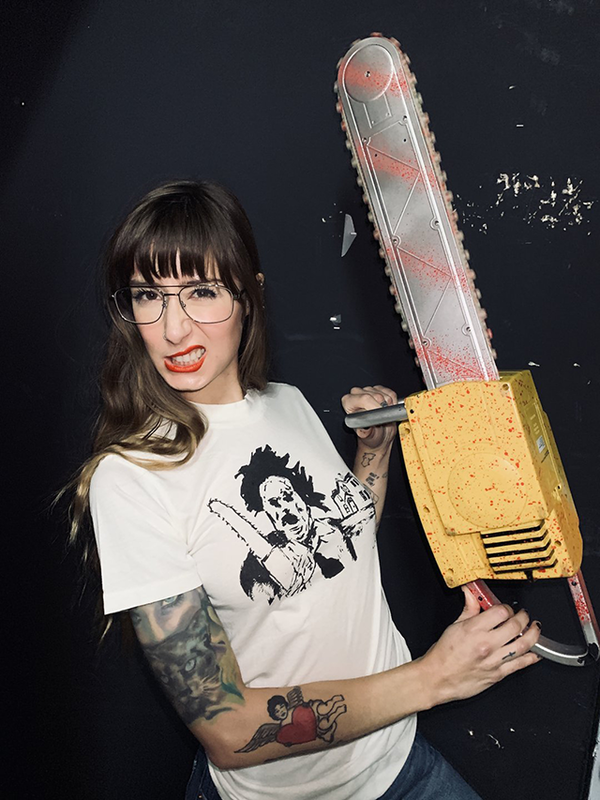 This long sleeve, Japanese inspired horror tee from The Evil Dead is available for pre-order now! 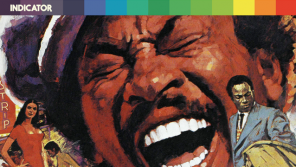 They’re all gonna laugh at you… If only they knew you had the power. 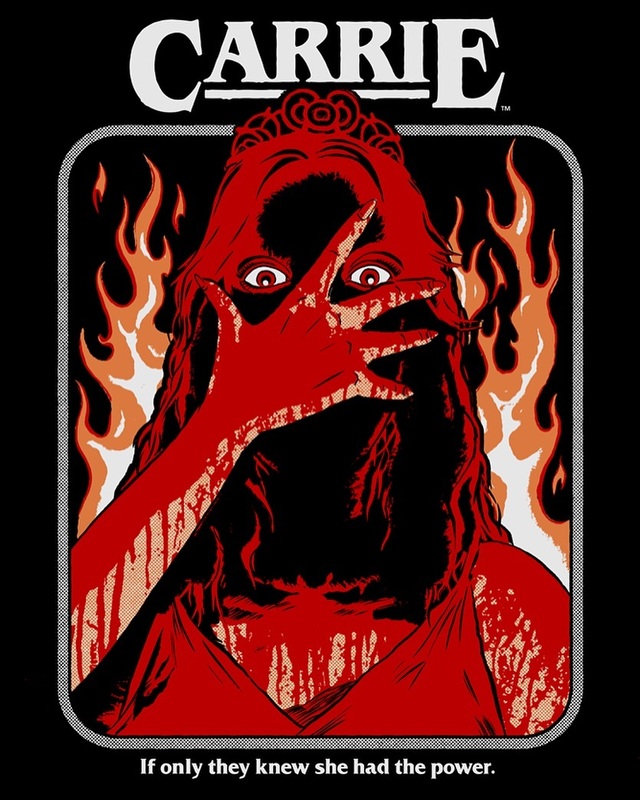  Cavity Colors have released their most highly ambitious, officially licensed collections to date, by force of the mind! 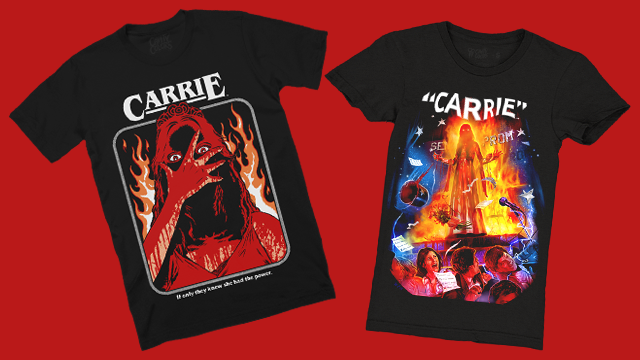 If you’ve got a taste for terror… take Carrie to the prom. 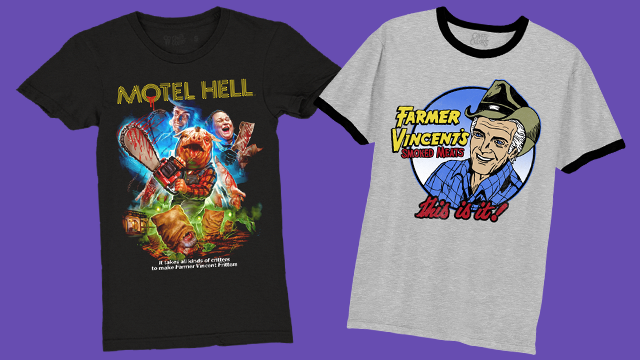 Local Boogeyman brings you more groovy tees from the monstrous exploitation cinema of Rob Zombie. 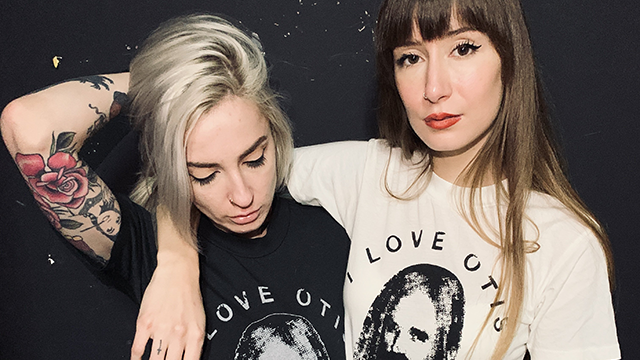 A limited amount of Zomboogey “I Love Otis” tees are now available in both black and white. 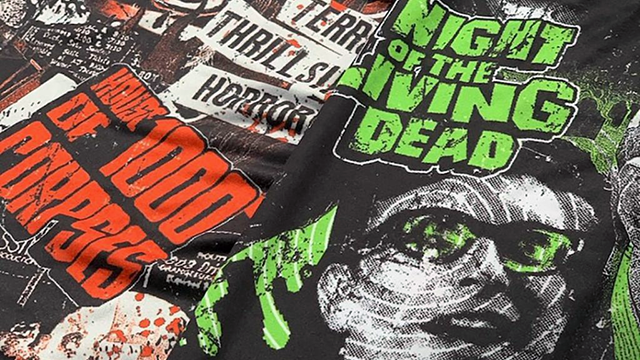 Fright-Rags are back with t-shirts, socks, enamel pins, and lounge pants from such beloved properties as House of 1000 Corpses, Night of the Living Dead, RoboCop, Teen Wolf, and Vampira. Slasher Pack XI: Tarantino Vol. 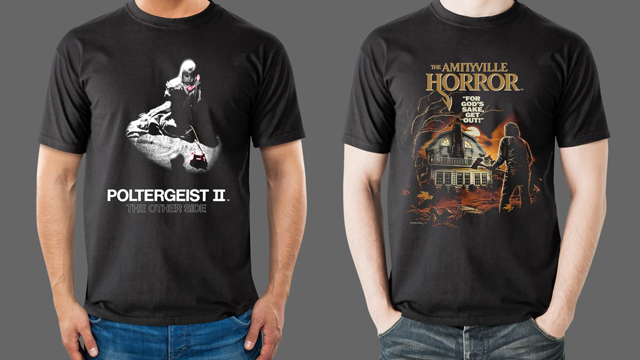 2 includes four Japanese inspired exploitation tees from Inglorious Basterds, The Hateful Eight, Kill Bill: Vol. 1 and Vol. 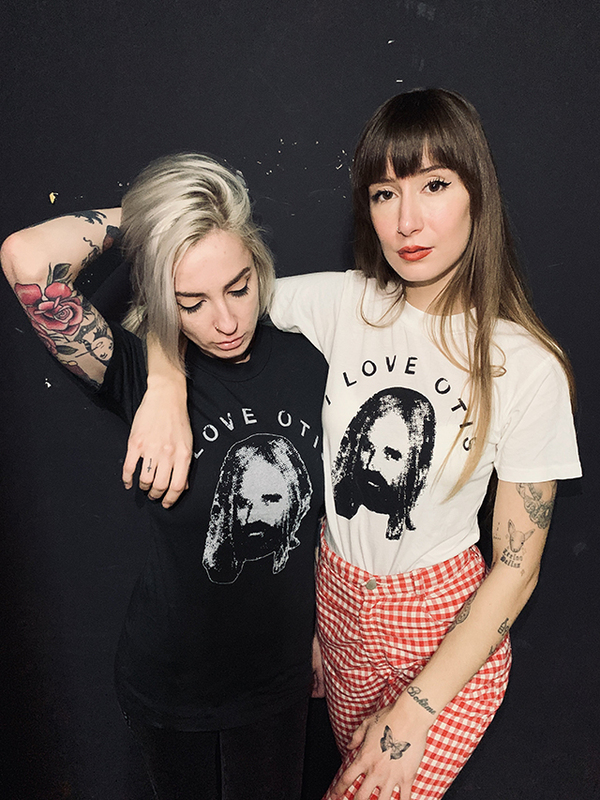 2; available for pre-order now! 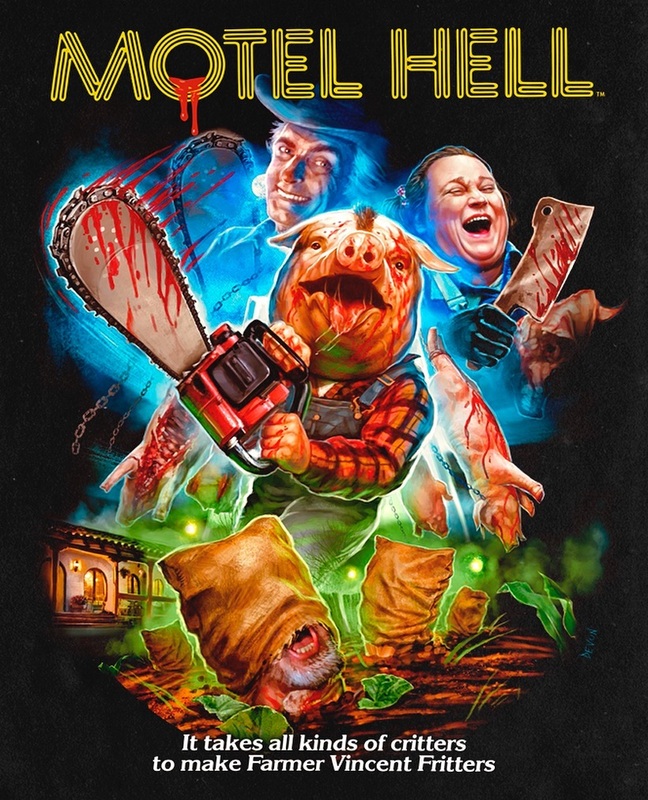 Super7 MISFITS ReAction Figures: Horror Business, Halloween, Bullet & Earth A.D. 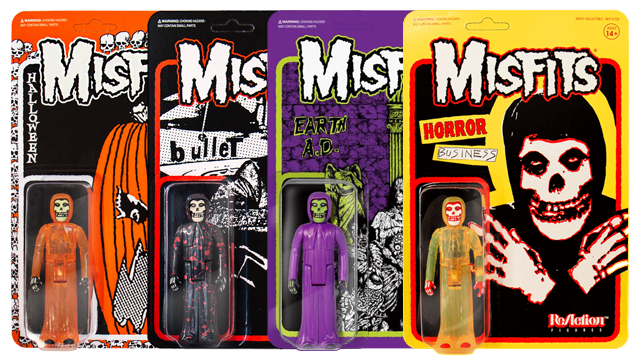 Using their backgrounds in punk and skate ‘zines, design, and production, Super7 have released their newest official 3.75″ ReAction Figure collaboration with punk icons The Misfits. In 2001, Super7 started as a magazine about vintage Japanese toys. Along the way, they began to develop vinyl figures and toy projects. 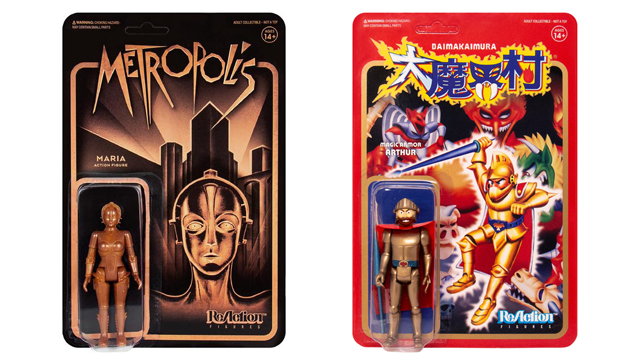 Now, Super7 have created the iconic robot Maria, from the classic 1927 science fiction silent film Metropolis, and Arthur, from Ghosts ‘n Goblins – the hardest video game ever – as 3.75″ ReAction Figures! 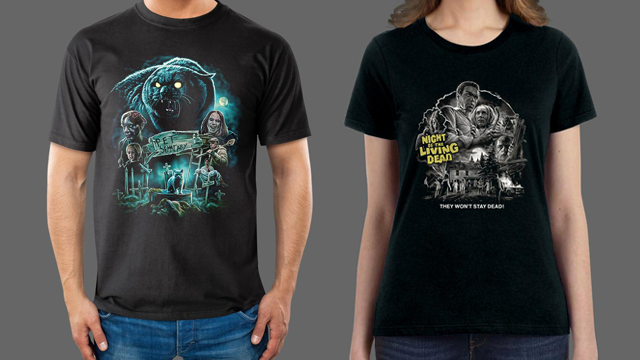 Fright-Rags has explored sour ground to unearth new merchandise from Pet Sematary, Night of the Living Dead and Die Hard. 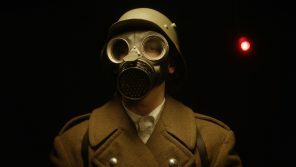 If that wasn’t enough Fright-Rags have also created Dead Neighbors, a short film that imagines what may have inspired George A. Romero as a young boy. 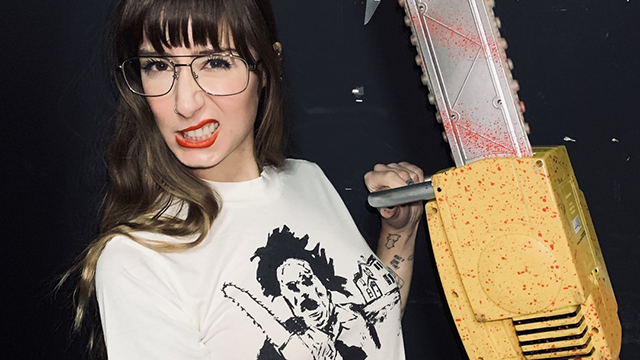 Slasher Pack X: Tarantino includes four Japanese inspired horror tees from Reservoir Dogs, True Romance, Pulp Fiction and Jackie Brown; available for pre-order now!